Use our drag and drop designer to customize gorgeous campaigns. Target using exit intent, timed auto-show, page specific campaigns and more advanced targeting. Once people have signed up through your Privy forms you can automatically move batches of your new contacts to AdRoll to feed your remarketing efforts. 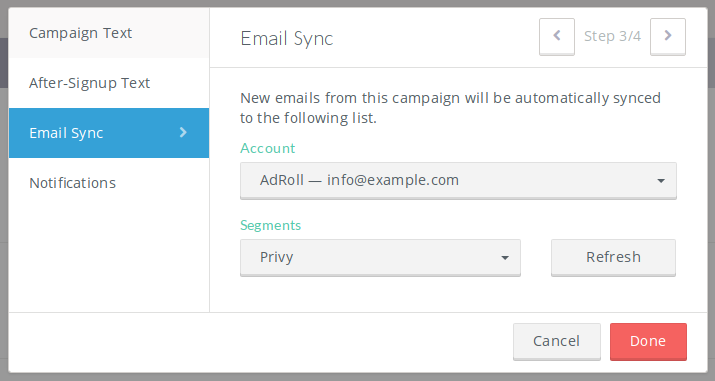 In addition to Adroll, you can easily sync all new emails and leads to your email marketing provider or CRM.